Skydel Solutions has updated its SDX GNSS simulator to version 19.1. The new version adds Galileo AltBOC signal generation, new atmospheric errors, SBAS improvements and SV antenna patterns. Galileo AltBOC. SDX now supports Galileo AltBOC as a new GNSS signal type. Current SDX users licensed with the Galileo E5 signal will be able to generate 8 Phase Shift Keying (8-PSK) constant envelope AltBOC after upgrading to SDX 19.1. The signal can be generated by selecting both Galileo E5a and E5b in the output – signal selection panel. Atmospheric Delays and Improvements to SBAS. Version 19.1 adds a new error type to all SDX users: atmospheric delays. These errors can be compensated with SBAS for SDX licensees with the SBAS option installed. The SBAS message now broadcasts ionospheric error corrections. Three new interfaces help create, manage and use these error values in simulation scenarios. Atmospheric Errors (Settings : Global). 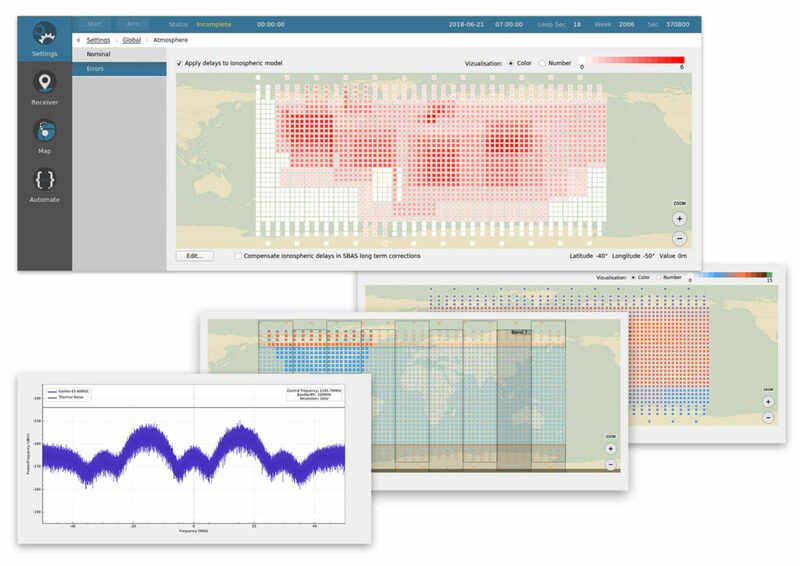 This panel enables users to review and edit the ionospheric delay values for any SBAS Ionospheric Grid Points (IGPs) . The map view can be navigated (pan and zoom) much like the map panel of the simulation. The edit button brings up an IGP editor used to assign the points values or increase their current value by a set amount. Since the number of points in the grid is fairly large, the user interface works with a selection of points, allowing users to add or remove the current selection in order to quickly work your way around the whole map. Ionospheric Masks (Settings : SBAS). SDX users with the SBAS option can use this new interface to assign the true/false value for each point of the different SBAS bands, per service provider. It reuses most of the paradigm of the aforementioned atmospheric error pane. Ionospheric GIVE Indicators (Settings : SBAS). Using a similar map interface as the two previous panels, the GIVEI (GIVE Indicators) panel enables you to provide the GIVE Indicator values for each IGP that is configured in the mask, per service provider. New GNSS Satellite Antenna Patterns. Also new in SDX 19.1 is the possibility to add user-defined antenna patterns to GNSS satellites. 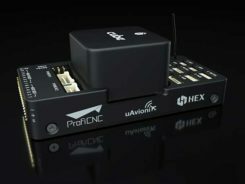 These new antenna pattern options show SDX’s flexibility by allowing any user-defined antenna pattern to be applied to any satellites in any GNSS constellation. This can prove especially useful for scientists and engineers working with space vehicles, due to their unusual orientation when compared to surface vehicles. High-Earth-orbiting spacecraft benefit from the side lobes of GNSS satellites to improve navigation performance. In fact, when tracking the signal from side lobes, the number of visible satellites is drastically increased, and the precision can improve from the kilometer to the meter level. SV antenna patterns in SDX. 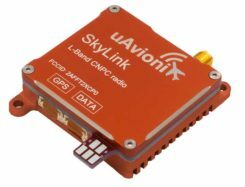 SDX now allows you to create, define, and manage antenna patterns for GNSS satellites using an interface very similar to the one we introduced for vehicles in SDX 18.10. As with that release, the various patterns are organized into antenna models that can be named, managed, exported, and reimported back into other simulation scenarios. The user interface has also been improved. Read more about the changes in Skydel’s blog.